There are bands who go with the flow and those who create their own river. Today’s featured artist is neither, moving fluidly between recognizable tropes from already unique bands and their own twists and ideas woven into a piece of art that is completely theirs. Antisoph is the name of that band and, yes, you can try to say it three times in a row. A bit hard, isn’t it? Antisoph are a band from Germany who seem to specialize in the non-specific. Their band is as much black metal as it is not. It is The Dillinger Escape Plan and Opeth crossover we hoped for (or rather fever dreamed of), for years. On the contrary, they sound nothing like those bands. What makes Antisoph so interesting and stand out among other acts is the fact that they are stylistic chameleons. Their sound and which bands may sound close to them is different for every listener because you can’t observe them dabbling in a genre long enough to actually figure out what they could be. The reason for this duality of sound is their rejection to fit in a box and their interest in many different styles of music. In its first iteration the band was called Orb. Although somewhat unrefined, Orb already showed some of the rough drafts that would be made into fully fleshed-out ideas for Antisoph‘s debut of the same name. The band prides itself for its technicality from the get go, yet never tries to push flashy solos with no substance. Instead, we are served a healthy mixture of polymetric rhythms, blast beats, frosty riffs, and the cherry on top of it all are the little rock licks thrown into the mix to loosen it up. Their self-titled release sees two heavy tracks as their introduction to what the band stands for yet breaks it up with the sensible and dynamic thirteen-minute long track “Distant Scream”. Jan Plewka, vocalist of Antisoph, helps the record shine with his theatrical sometimes even dramatic vocal performances, even Mikael Akerfeldt could take notes from. While every performance from every member is a standout of course, special praise – apart from the vocals – goes to the drums. It’s easy to just fall into a certain tempo and blast away, but here, even the blast beats possess a certain groove that almost harmonically enhances the track by delivering more than just the backing beat. What impressed me the most about the men behind this project is their courage to refuse to be classified and put into another drawer. 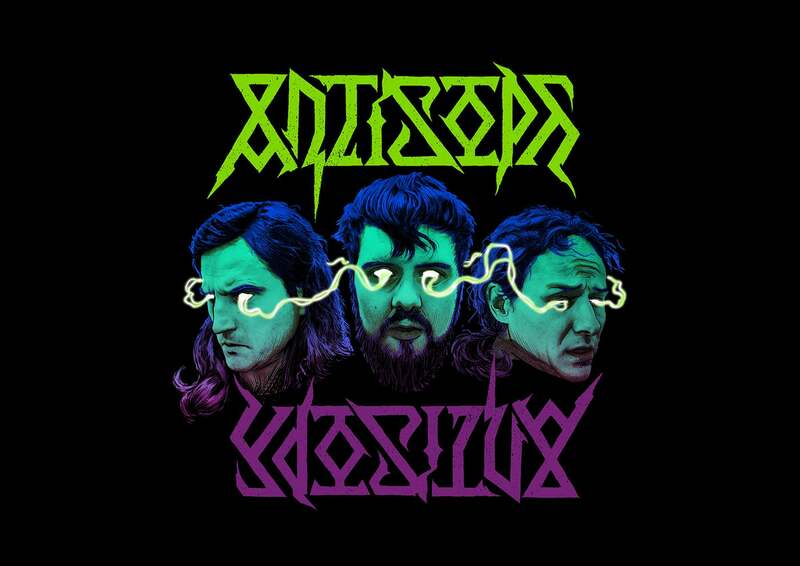 In a world where every other band gets labelled as progressive while barely having any contrast to other acts, Antisoph has the spine to literally do whatever they like and appeals to them. A refreshing attitude in this day and age. You can follow Antisoph on Youtube, Facebook, and Bandcamp. Next PostAndromeda Channels His Inner Saiyan on "Majin"